Whenever you have a plumbing emergency our team at Plumber Dalkey are available and ready to assist. Our team are on call 24/7-365 for all emergency situations. Whatever the time day or night just call us to speak with one of our team. We always answer! We will offer advice to you on how to alleviate the issue straight away where possible. If required we will immediately send someone to your home or business. Our rapid response promise ensures you will have a local Dalkey plumber at your door in under 60 minutes. We offer a full range of standard plumbing services provided by fully qualified, R.G.I.registered plumbers. All of our work comes under our no quibble “plumbers Dalkey” guarantee. We also carry full liability insurance both public and professional. Our staff have built an excellent reputation for customer satisfaction. With some of our staff having over 30 years trade experience their expert domestic and commercial plumbing knowledge is second to none. This ensures fast and professional work. We know our upfront pricing is extremely competitive and popular. Our clients always know what the bill will be. This means there will never be a nasty surprise at the end. When we start a plumbing job, we will ensure that the job is finished to the highest standards. This means all of our customers sleep soundly knowing that they are going to be completely satisfied with the end results. Here are just some of the services the team at Plumber Dalkey offer. · External and underground drain pipe repair and installation. · Repairing internal burst and leaking pipes. · a 24 hour emergency Dalkey plumber call out service. · Installing new baths, showers, sinks and toilets. · We unblock drains, sinks and toilets using jet flushing, drain rods or a plumbers snake. · We clear blocked waste pipes. · We provide central heating system installation and repair. · We offer R.G.I. boiler service and repairs. Plus a whole load more, even if it’s not listed we’re sure we will be able to help. Total transparency and no hidden fees from Plumber Dalkey. We pride ourselves on operating our business as transparently as possible. We always try to offer our clients the best possible price and plumbing services available in county Dublin. Our open and honest approach has been the foundations upon which our great reputation has been built over the decades that we have been trading in Dublin. Our team do not charge for call outs and we are happy to give free advice and no obligation quotes. 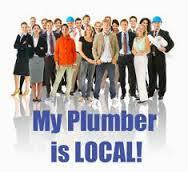 So if you need assistance just give your local Dalkey Plumbers a call today on 01-2844921.